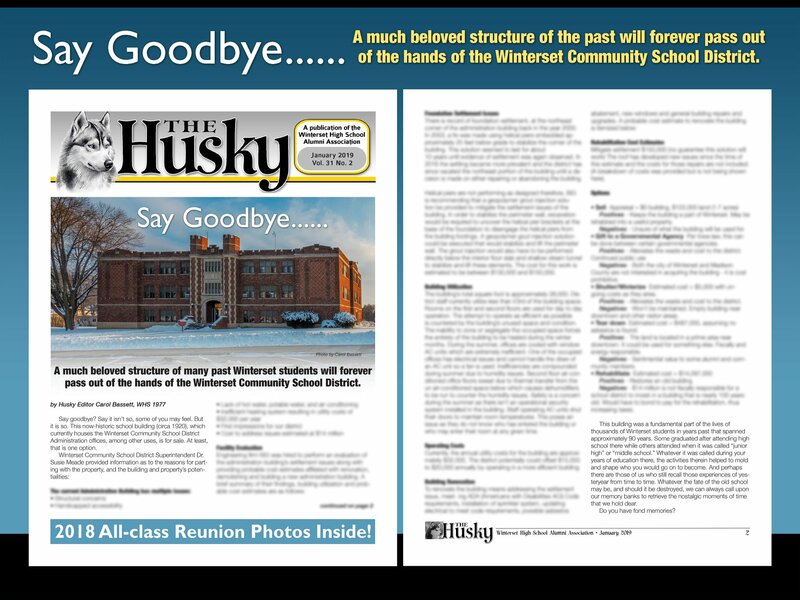 Members of the Winterset Alumni Association receive three editions of The Husky newsletter each year, published in Fall (Sept.), Winter (Jan.), and Spring (May). This is a great benefit of membership that keeps you in touch with current news and events, as well as in-depth stories and editorials. It is available in electronic format delivered via e-mail (pdf format) or printed paper copy delivered via USPS. 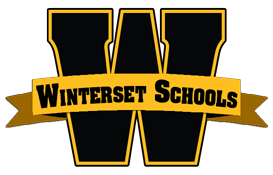 As with postal mailing addresses, please let us know ASAP if your e-mail changes. The Alumni Association expresses their gratitude! We would like to give special thanks to the American Legion Hall for letting us gather at their facility for our folding parties. It is the perfect location for us! We count on the volunteers for every issue of The Husky. The time they take out of their lives to help us out is invaluable. We have a “folding party” for each issue that is mailed out and the volunteers fold and stuff the newsletters, and apply the mailing labels. They are a hardworking group of folks who show their dedication and Husky loyalty by volunteering their time. And…. maybe…. some of them come especially for the coffee and treats, too (or so they say). They are a lot of fun, and we appreciate them! This photo was taken in May, 2015 and shows the volunteers who were present to work that day. 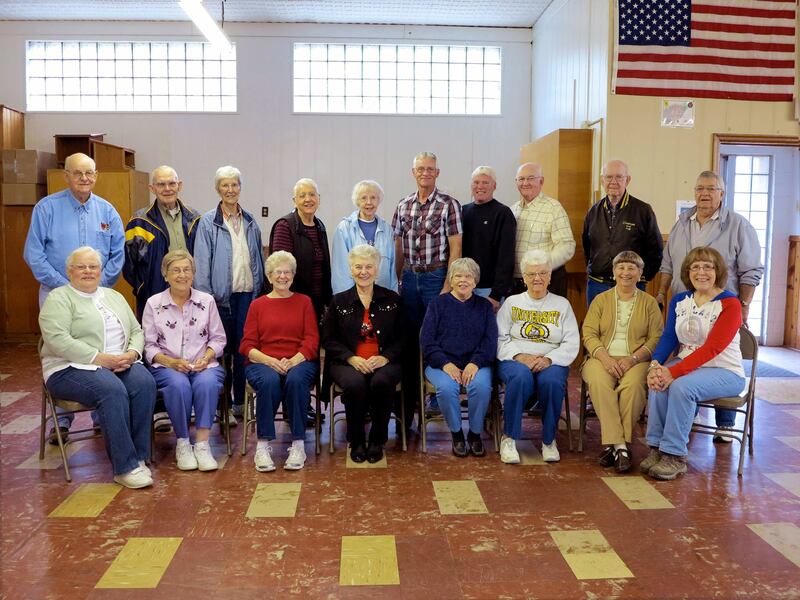 From left to right, front row: Nancy Horn, Velma VanScoy, Ruthie Dorrell, Marilyn Fairholm, Darlene Fletcher, Bev Ham, Jo Pulse and RoxAnn Rhoads. Back row: Howard Pulse, Gene Umsted, Pat Umsted, Helen Sellers, Louise Hart, Jim Rhoads, Marty Miller, Mike Mahan, Ron Fletcher and Ron Addy.